Search Engine Optimization (SEO) seems to be one of those things that everyone talks about but nobody ever explains. If you’ve been keeping up with our articles about SEO tips and tricks, you’ll know that there’s much more to ranking on Google than using specific keywords in your blog posts. 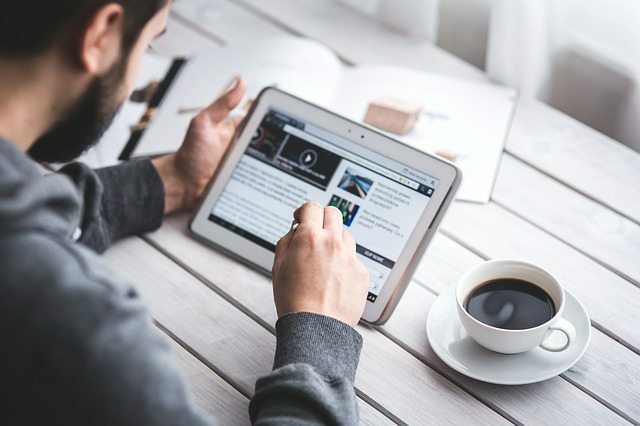 At Dakno Marketing, we’re all about being a resource for our clients, so we wanted to share a few blogging habits you can start right now that will immediately impact your SEO — and ultimately drive more traffic to your real estate website. No one knows the area or the real estate market quite like you do. What better way to show your site visitors (and potential leads!) that you are the real estate agent they need than by showing off some fun and information-rich blog posts? Google likes to see unique content that is useful to your site visitors. After all, that’s what Google is all about — providing people with information that answers their questions in a different and engaging way. So instead of copying whole paragraphs from articles on your website (or worse, from articles on other agents’ websites), write a blog post that gives a fresh spin on the topic. Let’s say you’re writing a blog post about the most overlooked home staging tips. If you have an article about curb appeal, home staging tips that you didn’t already mention in your blog post, or a free home evaluation tool, link back to those resources in your blog post! Linking back to content on your website not only gives potential leads more opportunities to stay on your website (and see how awesome of an agent you are), it shows Google that those resources on your website are valuable and credible. You want leads, right? Then don’t leave your readers hanging! In the last paragraph of your blog post, leave your email address and phone number so that potential clients can easily reach out to you right after reading your blog post. Colorful images not only enhance the meaning of your content, they also give readers a break from the wall of words. 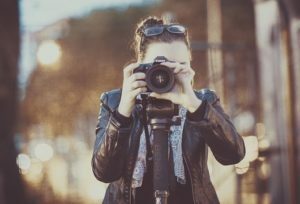 If you’re too busy to take your own photos, we totally get it; instead, you can use royalty-free (or Creative Commons Zero [CC0] licensed) stock photos from sites like Pixabay and Pexels in your blog post. That way, you won’t have to worry about sourcing the images or breaking copyright law. 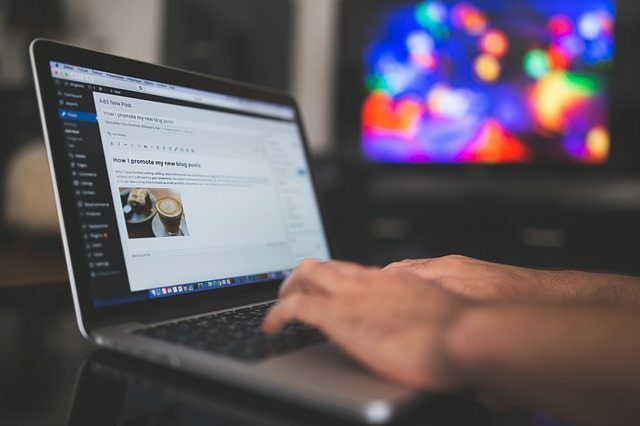 They say there are no short cuts on the road to success, but in the case of blogging, there are a couple of SEO shortcuts that are necessary. I’m talking about headings, title tags, meta descriptions, and URLS — things that tell both Google and your readers what your blog post is about. Title tag: This is the first thing that people see when they search for information on Google. This is one of the most important SEO elements in your blog post, and it should be where you put your keywords and an eye-catching title (note that it should not be the same as your blog post title). Meta description: This is what follows and should add additional information about the link that potential visitors will be clicking on. URL (or permalink): This should be only a few words long but still describe the blog post. Headings: Using “Heading 2” and “Heading 3” sizes breaks your blog post up into bite-size chunks, giving readers and Google a better idea of what your blog post is about. Tessa and Bobby collaborated on this awesome blog post about using Google Posts to your advantage. The keyword here was “Google posts,” which shows up in the title tag, meta description, and URL. Note that the title tag (“How to Get Ahead of the Game with Google Posts”) is different from the blog post title (“Everything You Need to Know About Google Posts”). By using a different title tag, blog post title, meta description, and URL, we’ve been able to give Google multiple ways to determine what our blog post was about — using Google Posts in your business. Hopefully these tips have helped you understand a little bit more about SEO and how to use it in your blog posts. If you’d like suggestions about how to up your game with your next blog post, watch our Tuesday Tips video below. Need Blog-Writing Help? Just Ask Us! Not to toot our own horn, but we have a talented team of copywriters who can write fun, engaging, and information-rich blog posts for you. From articles about the real estate industry to fun things going on in your area, we’ve covered them all. If you’d like more information about blog-writing, search engine optimization, and how much content you can create on a marketing retainer, contact our sales team at (919) 877-8511.